The restoration of the Portrait of Giuseppe Bossi by Antonio Canova is finally completed thanks to the generosity of the New England Chapter! 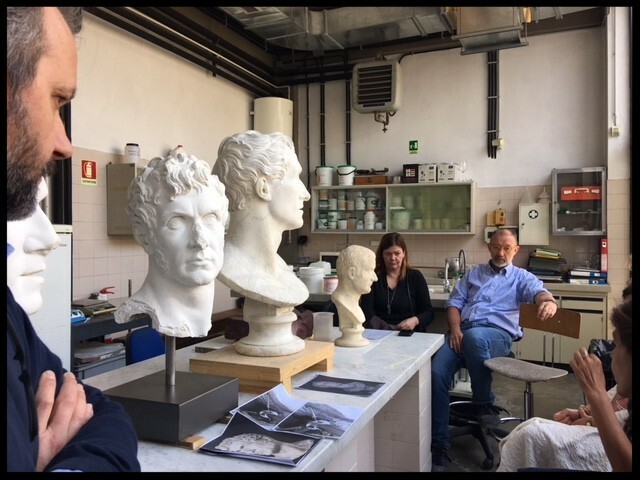 Last Wednesday the final restoration meeting was held in the Marble Restoration Laboratory with Dr. Barbara Jatta, Director of the Vatican Museums, Dr. Alessandra Rodolfo - Curator of the works completed by Canova in the Vatican Museums Collections - Guy Devreux – Maestro in Charge of the Marble Restoration Laboratory – and Andrea Felice - who performed this incredible restoration. The result of the cleaning is truly amazing, as Andrea was able to meticulously remove the dust on the surface and, at the same time, leave the “patina” of time on this incredible portrait. 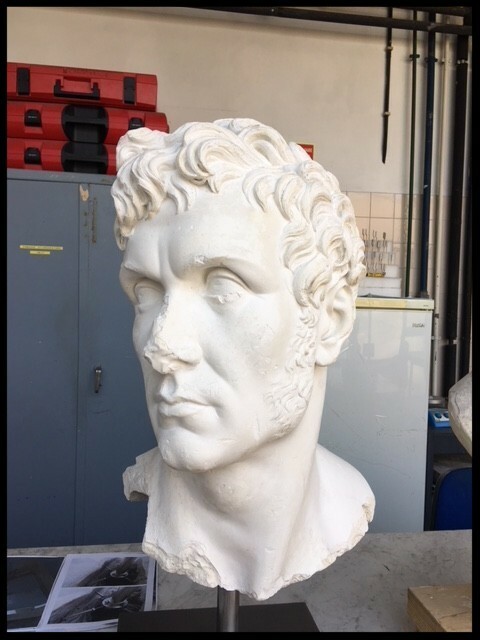 This plaster bust was made by Antonio Canova in memory of his very good friend Giuseppe Bossi. It is a great example of the interest Canova had for molds; the accuracy with which he completed the portrait stands as a testimony of a great friendship between the two artists, characterized by mutual respect and unconditional devotion. The hundreds of letters that the two exchanged between 1801 and 1814 stand as testimony to their great camaraderie.